When you are looking for different ways to save money as a homeowner in Toronto, a great place to start is your home’s windows. When you replace old, inefficient windows, you can save money on your energy bills as well as get better comfort during the hottest and coldest months of the year. 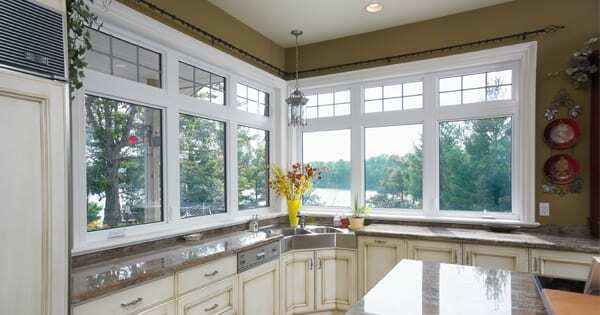 To get the most out of your energy efficient window replacement, have a look at the valuable tips in this insider guide from Brock Doors and Windows. When you are shopping for energy efficient replacement windows, a good place to start is window performance. First, you should consider the ratings on windows. Did you know that regardless of the outside temperature, heat can be gained directly through your windows? The SHCG (Solar Heat Gain Coefficient) rating will tell you exactly how much of the sun’s heat is blocked by your windows. Keep in mind that the SHGC rating you should get depends on your climate. Since you live in a climate like Toronto, you want to go for windows with a higher SHGC. This way, your windows will be much more efficient at keeping the warm air inside during winter. The experts at Brock Doors and Windows will gladly tell you exactly what SHGC rating you should get for our climate. Air leakage is also an important factor to look at. Basically, air leakage measures how many cubic feet of air can pass through your windows in the span of a minute. The important thing to remember is that the lower the Air leakage rating is, the less air can pass through your windows, thus decreasing your energy bills. The third rating to check out is known as the U-factor. If you want the best insulation, you will want to get windows with a higher U-factor rating. Consider getting gas fills (Argon or Krypton) in the space between the window panes. Argon is the cheapest and most commonly used, but Krypton gas offers better performance than Argon, and it takes up slightly less space. Filling the space between the glazing with gas helps a window’s energy efficiency in two different ways. First, it reduces heat loss, because gas allows heat to pass through the window more slowly than plain old air. Also, since gas is heavier than air, it reduces convection losses, which increases your window’s energy efficiency. Low-E is a special, microscopic coating that is applied to the surface glass of windows to reflect solar energy. Low-E is a very valuable tool for energy efficient window replacement, because the same Low-E coating that keeps heat inside your home during winter, can keep the unwanted heat out in summer. This way, you can keep the inside of your Toronto home cooler, and therefore cut down on air conditioning bills at the same time. Energy efficient window replacement in Toronto will give you better comfort, and increased light and views. You will even be able to lower your heating and cooling costs. What’s more, when you purchase energy efficient windows from Brock Doors and Windows, you will be doing your part to help protect the environment. 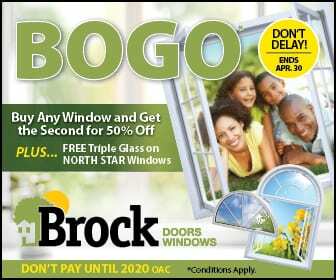 Here at Brock, we have been specializing in energy efficient window replacement for over 26 years. Give us a call today for your free consultation!